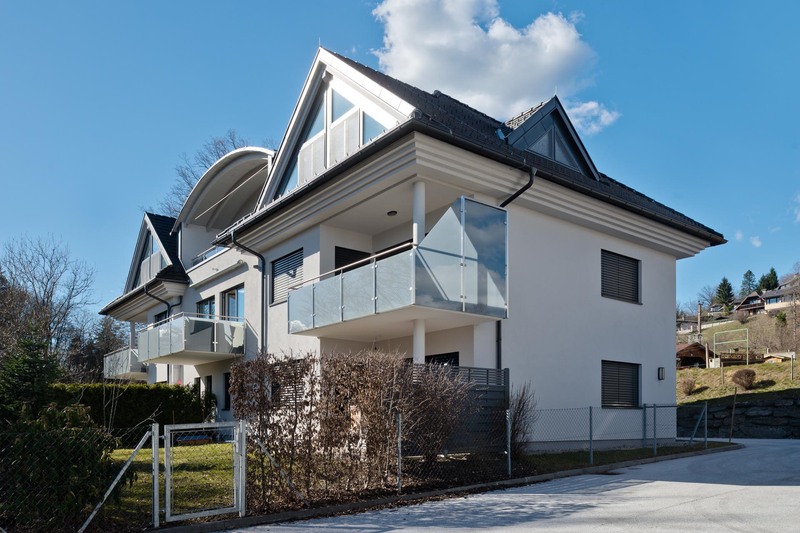 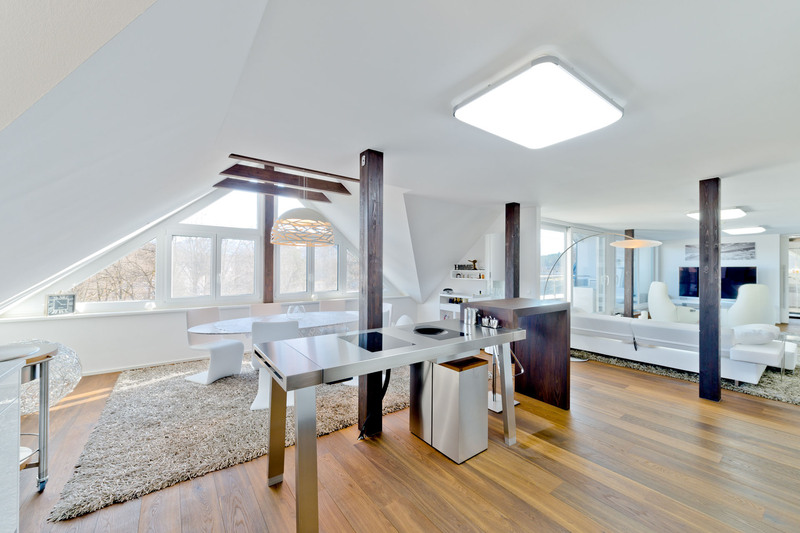 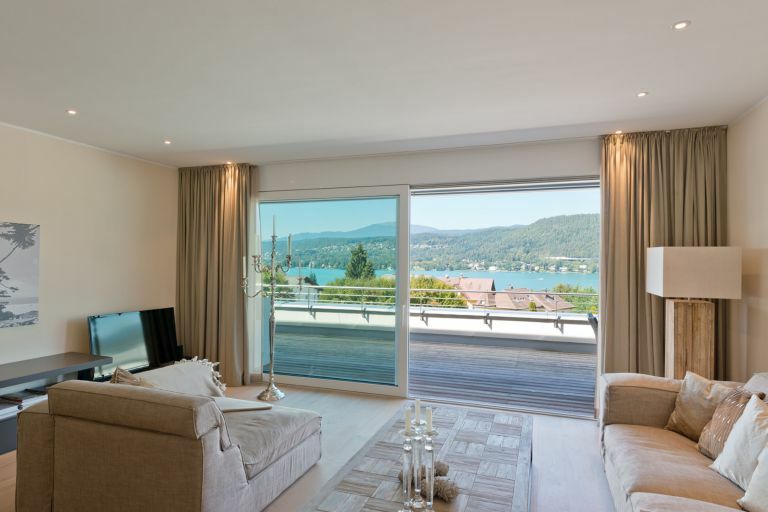 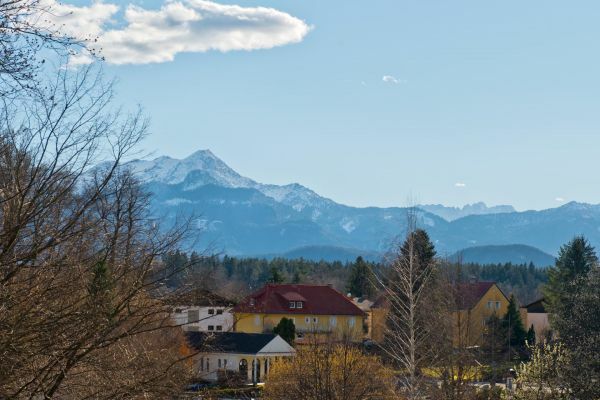 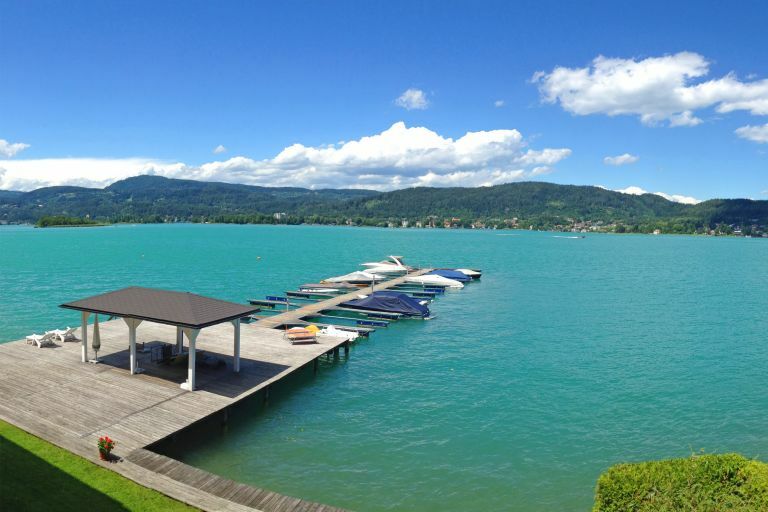 This extravagant and loft-style attic apartment is centrally located in Velden am Wörthersee. 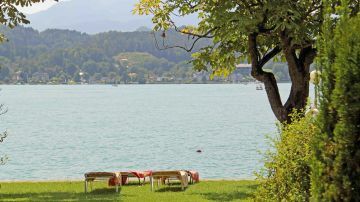 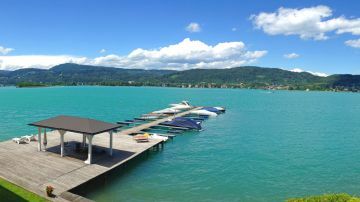 The center with all infrastructure, the casino and the famous Schloss am Wörthersee are within a five-minute walk. 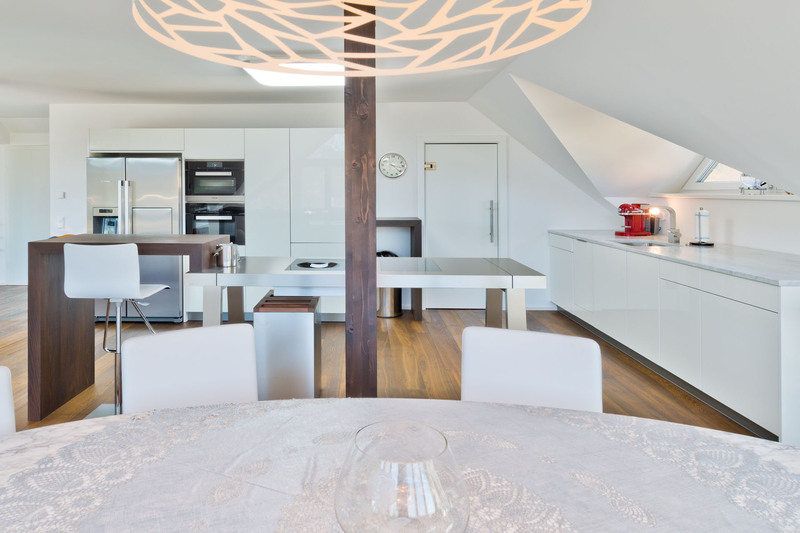 The apartment is located in the attic of an apartment building with only six parties and offers a beautiful view of the Mittagskogel and the countryside. 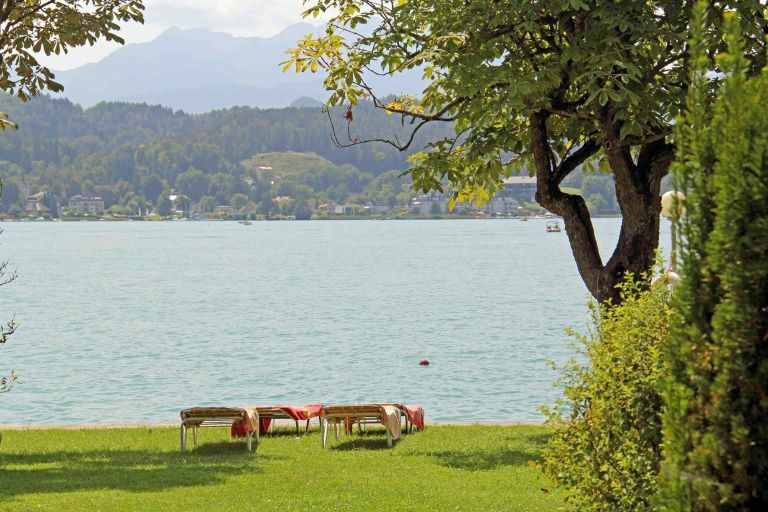 Due to the southern orientation, all-day sunshine is guaranteed. 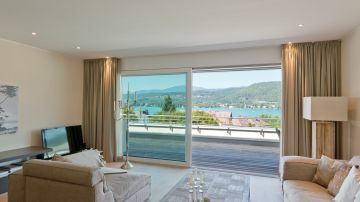 The rooms are extremely spacious and numerous windows make the apartment very bright and friendly. 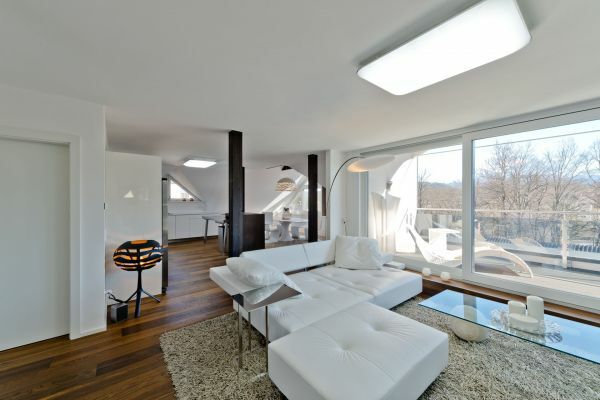 The high-quality designer furniture is included in the purchase price.